For my weekly work bake I’m going to stick with the Easter theme, and in fact the hot cross theme, and do hot cross cookies using the Sodo starter. 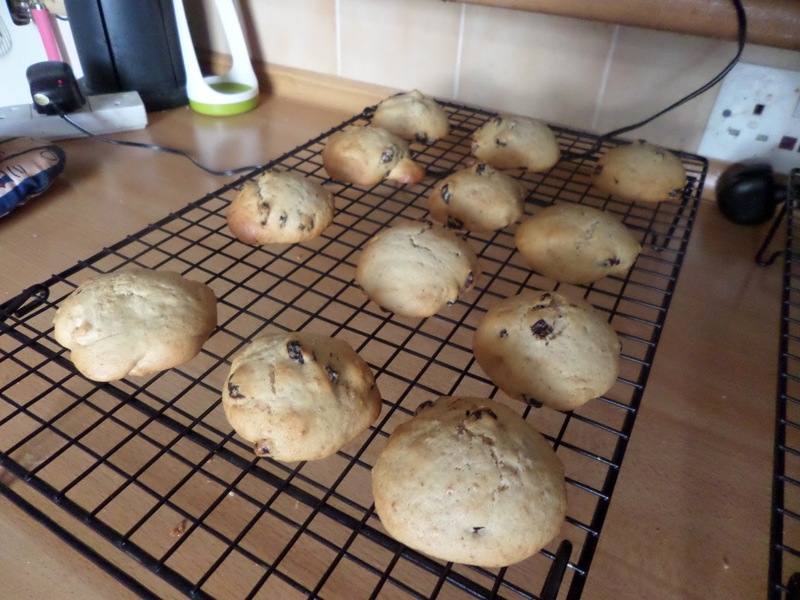 I’m going to adapt this recipe for sourdough cookies by adding currants, cinnamon and a white chocolate cross on top. 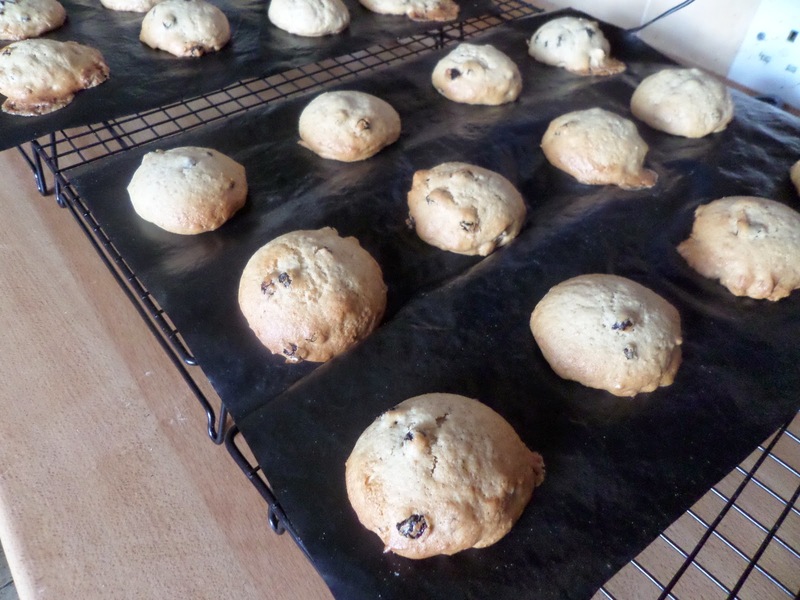 Yes currants: while they might be too small and tough for soft buns, for cookies they’re the right fit. Mix together the dry ingredients. 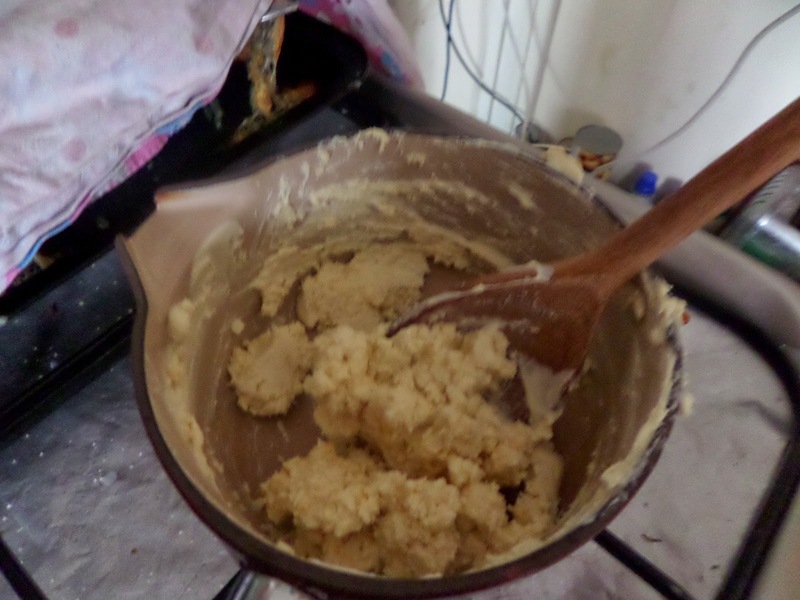 Cream the butter and sugar, beat in the eggs & vanilla, then mix in the starter. Finally mix in the dry ingredients and currants. 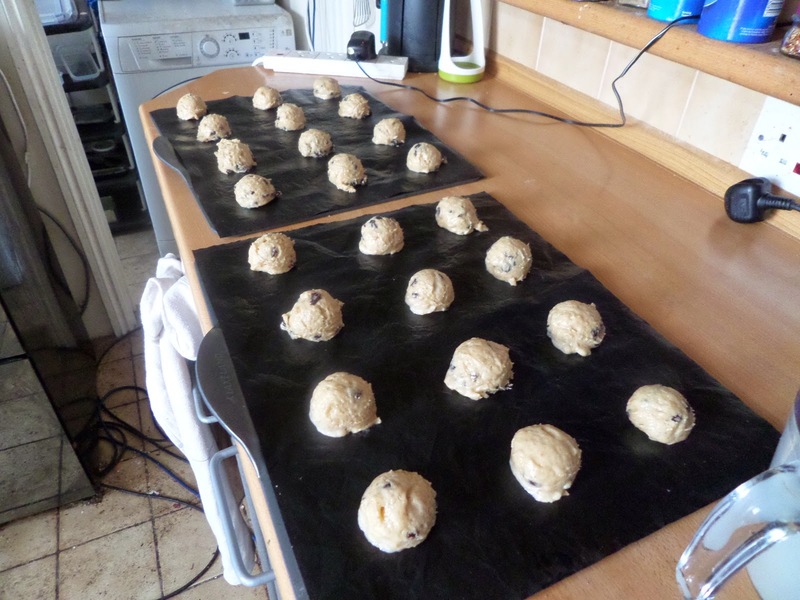 Then scoop out 2 tbsp amounts onto a lined baking sheet. Chill while the oven comes to 170C fan, then bake for 12 minutes, turning half way through. So… after 12 minutes they were still uncooked bread dough! So back in for another 6, with the expectation of turning and another 6 after that. Which I did do… but was worried at the time even about overdoing it… But they seemed to do well from it! Cool on a rack before adding the white chocolate cross. Which you’d think would be easy… but i totally screwed up melting white chocolate! It turned from mostly melted to this horribly glumpy mess in seconds… so no crosses. I would just eat the white chocolate, glumpy or not. I did… but I wasn’t going to mention it here!